Every year, over a 3-day period, the Saint-Cloud Grand Prix attracts the best French amateur players. On alternate years it is called la Cachard, after the Club’s founder, or the Jacques Petit le Roy Cup, after a young French resistance fighter, and a very good amateur player, who was shot by the Germans in Chevilly-la-Rue on the eve of the Liberation of Paris at the age of 28. American with French ancestry (his grandfather was Félix de Chazournes), Henry Cachard (born 1853) studied law in the United States. In 1883 he joined an American law firm. He moved to Paris in 1884 and became a senior partner in the Paris office. He studied French law and obtained the qualifications allowing him to plead in the French courts. In 1895 he translated the French Civil Code into English which is considered by American and British lawyers as a reference work. Henry Cachard (1853-1942). This portrait appeared in ‘Tennis et Golf’ on 1st May 1932. In 1894 with friends and colleagues he created the Franco-American Chamber of Commerce in France. In 1903 as president of the Chamber he worked hard for the adoption of a treaty reducing French custom duties imposed on certain American technical products. In addition to his eminent legal career, Henry Cachard was a great golf enthusiast. He was one of the founder members of the Paris Golf Club in 1896 (the precursor of the Boulie Golf Club). In 1911, with a group of friends, he created the Saint-Cloud Country Club with the aim of developing five sports: golf, polo, tennis, croquet and squash. 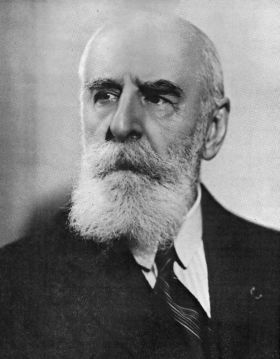 He remained president of the Club until his death in 1942. A sports association was then created to take over the financial, administrative and sporting management of the club and tenant of the Saint-Cloud Country Club which remains the owner and manager of the courses and buildings. Jacques Petit Le Roy, a member of the Resistance, was shot by the Germans in Chevilly-Larue on the eve of the liberation of Paris, at the age of 28. Born in Paris on April 28th 1916, he became a member of Saint-Cloud Golf Club in 1924. At the age of 22 he had a handicap of 4 which ranked him among the best French players of his time. 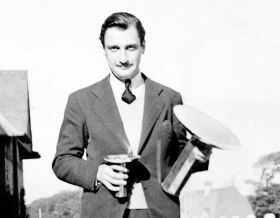 He won the Gounouilhou Trophy with the Saint-Cloud team in 1937 (the French team championship) and in that same year was twice a member of the French national team. The Saint-Cloud Grand Prix is called the « Jacques Petit Le Roy Cup, in homage to the sacrifice of a golfer who defended the colours of the club with style. Mr Marc Ellenberger, archivist and documentalist at the town hall in Chevilly-Larue, the town where Jacques Petit Le Roy was shot, has kindly given our club permission to publish his research into the dramatic circumstances of his death. On 24th August 1944 Jacques Chaban-Delmas sent him on a mission to meet General Leclerc in Antony to highlight the urgency to liberate Paris by reporting on the latest situation. Jacques Petit Le Roy left Paris by bicycle but later hid his bicycle in the centre of Chevilly-Larue at the seminary of the Pères de la Congrégation du Saint Esprit. He continued his journey on foot and delivered the information to Leclerc. Faced with the real threat of Paris being destroyed, Leclerc gave him an ultimatum to deliver to Von Choltitz, the German commander of Paris. The ultimatum warned that Von Choltitz would be held personally responsible for any damage to the city. Jacques Petit Le Roy set off for Paris on board a military vehicle from the 2nd Armoured Division with a driver and a machine-gunner. To avoid the town of Fresnes and certain roads, where there were still German troops, they drove through Rungis. They picked up a local civilian who had lived in Chevilly-Larue and was able to act as a guide. It would appear that the reason for driving to the centre of Chevilly-Larue was to pick up Jacques Petit Le Roy’s bicycle. Their vehicle was shot at by some German soldiers leaving a café. The machine-gunner and Petit Le Roy returned fire but both were killed as well as one of the German soldiers. The driver hid in the café and the civilian guide in a ditch. The Germans escaped in the vehicle but not before searching Petit Le Roy’s body and taking the ultimatum with them, which, contrary to what many believed (including Jacques Chaban-Delmas), was actually delivered to Von Choltitz. The driver was later picked up by a military vehicle from the 2nd Armoured Division and the civilian spent the night hiding at a friend’s house before making his way back home to Rungis. On the 26th August 1944 a ceremony was held in Chevilly-Larue in honour of Jacques Petit Le Roy and the machine-gunner from the 2nd Armoured Division, Chief Warrant Officer Augustin Dericbourg. On the 1st October 1944 their names were given to the two streets where they were shot. The body of Jacques Petit Le Roy was taken to Paris where his funeral was held in the Saint-Honoré d’Eylau church and in the presence of Jacques Chaban-Delmas.